THURSDAY, June 30, 2016 (HealthDay News) -- Anyone who's helped care for an aging loved one knows that managing their daily medications can be a challenge. Now, new research suggests that the problem of missed pills rises with age and failing memory, especially for men. The problem can have serious consequences, the study's lead author noted. "Health conditions may worsen or not improve if older adults skip or don't take their medications properly," said Brenda Jamerson, of the Center on Biobehavioral Health Disparities Research at Duke University, in Durham, N.C.
"Serious side effects may also occur from taking medications at the wrong time or in the wrong dose," Jamerson said in a news release from the Journal of the American Geriatrics Society, which published the findings earlier this month. The research involved more than 4,100 North Carolina residents aged 65 and older. All had health conditions such as poor vision, poor hearing, or a history of diabetes, high blood pressure, stroke, heart attack or cancer. Trouble taking the right medications at the right time rose with advancing age, the study found. For example, at the start of the study, just over 7 percent of the seniors required help taking their medications. Three years later, 11 percent of those who did not need help at the start of the study required some assistance, Jamerson's team found. Overall, people aged 80 and older were 1.5 to 3 times more likely to require help taking medications than those ages 65-69, the research showed. Other factors seemed to boost the odds of medication lapses. Not surprisingly, memory deficits were key, and people who had trouble with the tasks of everyday living also had a higher risk of forgetting their pills. But gender mattered, too: Men were 1.5 to 2 times more likely to need help with medications than women, the study found. Michele Pisano is a pharmacist who works in the Geriatric-Palliative faculty practice at Northwell Health in New Hyde Park, N.Y. She said the new study "highlights an important issue." Examine medicine bottle labels for the last date of renewal to confirm that you're taking medicine regularly. Discuss with your doctor and pharmacist whether or not your current medications are still warranted, to avoid taking unnecessary meds or experiencing side effects. 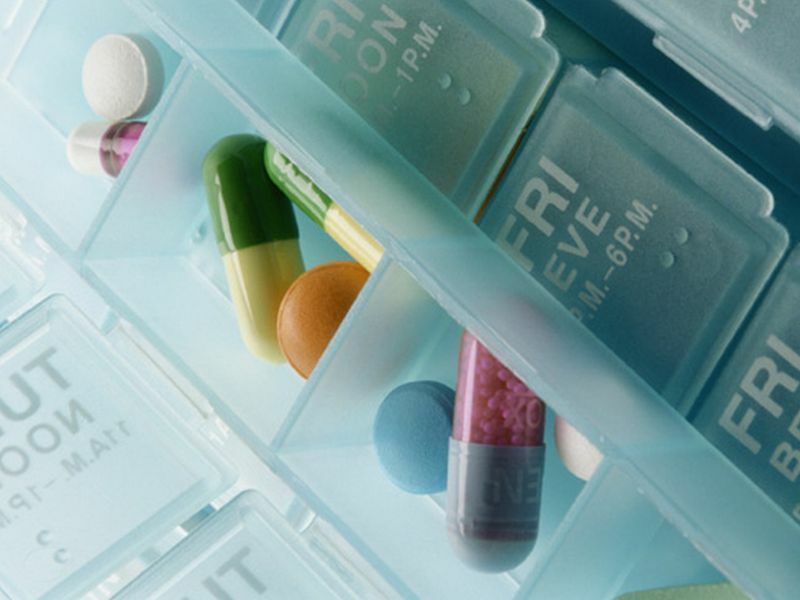 Use "medication adherence" tools, such as labeled pillboxes, to help keep you on track.